Maryknoll missioner Fr. 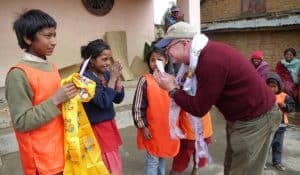 Joseph Thaler in Nepal shares a few words about how your prayers and donations make a difference. Right now, Maryknoll Fathers and Brothers are working round-the-clock to alleviate some of the worst threats to human life in more than 20 countries around the world. The summer of 2017 brought torrential rains, loss of life and property to Nepal. Thousands of homes were destroyed and hundreds of people perished in raging water and mudslides. It’s the grace of God. There is no other explanation! Father Thaler, who led relief efforts after the 2015 Earthquake, made getting kids back to school a top priority. 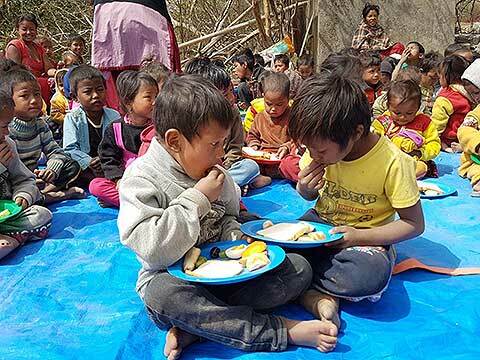 Working with local partners in Nepal, he delivered books, pens, pencils, and fully equipped geometry boxes for over 1,000 school children in the Saptari District, one of Nepal’s hardest-hit areas. Today, Fr. 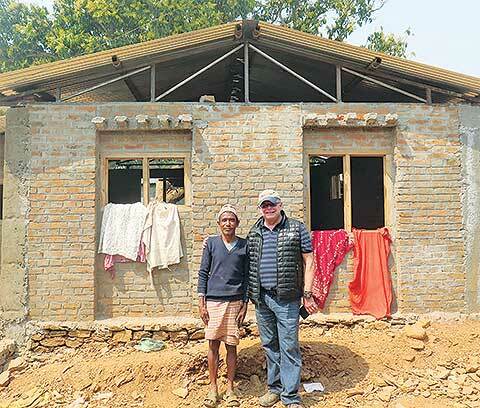 Thaler is continuing his commitment to rebuilding Nepal through his income-generating projects, including commercial mushroom growing and sheep raising. And, his daycare center for the children of factory workers has opened. 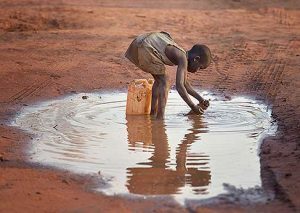 Drought throughout East Africa has shattered family life. Making matters worse are outbreaks of violence among South Sudan’s political factions. I want to be Christ’s healing presence here. 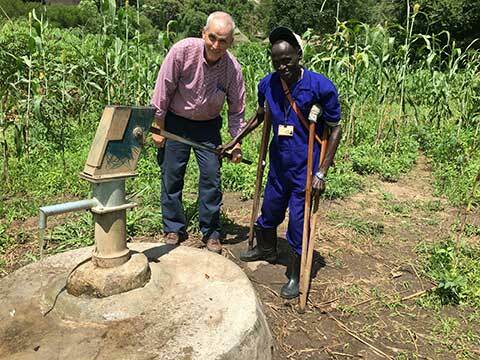 In an effort to help feed the hungry, Father Barth regularly delivers food to the starving families living in neighboring Uganda n Ishoe’s St. Teresa Parish, as well as installing submersible pumps to pull water from the ground. For refugees seeking safety, Father Barth is building shelters in Palabek, Uganda. 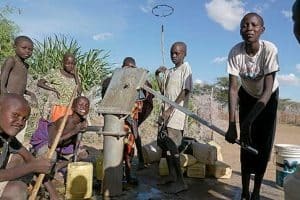 East Africa’s drought has upended life in the northwest Turkana region where for centuries people have lived off the land and their farm animals. We are planting—and planning—for a better future. And everyday, we pray for rain. 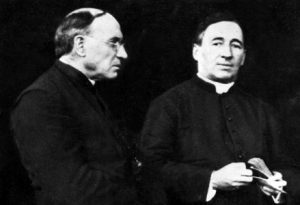 Father Nadeau is doing all he can to help feed the people especially children, pregnant women, and the elderly. His work in Our Lady Queen of Peace Todonyang Parish in Lodwar is bringing in everything from flour and beans to cooking oil to feed hundreds of families and about 150 children who attend the parish’s Integrated Centre. Father Nadeau has also built community sand dams—low-tech but highly economical ways to capture whatever rainwater does fall and is distributing drought-resistant seeds to farmers. His goal this year is to build more dams. Since 1911, Maryknoll missioners have shared God’s Love by serving the poor, sick and marginalized worldwide, bringing mercy to all peoples through mission.